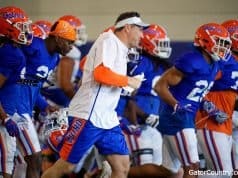 With Florida yet to land a 2019 commitment you might think the coaching staff would be laser focused on that class, but that isn’t their only focus as they are still looking ahead to some key recruits in the 2020 class. Long Island product Zed Key is a name you will be hearing a lot more about in the recruiting circles going forward and the Gators were wise to get in on him early. 6’8” and 185 pounds, he initially was viewed as a versatile wing when his name first emerged on the scene but has since developed to be one of the best low post scoring threats in the 2020 class. 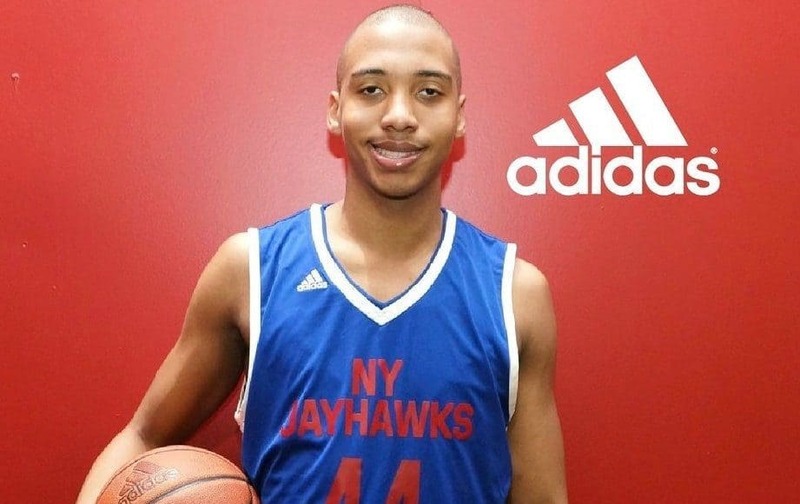 As he continues to differentiate himself with a scoring ability down low unmatched by many forwards in his year, watch for him to obtain a boatload of offers to compliment his current list including Florida and Cincinnati. I was lucky enough to speak with him the evening after he spent the day on an official visit to Florida. Here’s my conversation with Zed Key. EF: Thanks so much for doing this man! We’ll get started. First off, can you let everybody know who you are, where you’re from, and where you play? ZK: My name is Zed Key. I’m from Bayshore, New York. I’m 16 years old. I will be starting my junior year at Long Island Lutheran High School. EF: You’re a forward with some great size at 6’8” with long arms. A lot of times players like you get described with some generic modern basketball terms like “switchable.” Can you describe your game in more detail for those who maybe haven’t had the chance to see you play? ZK: I’m a really strong post player. I can finish consistently with both hands. I can make the midrange jumper and I have been stretching my game out to the 3-point line. I take pride in playing defense, I love blocking shots, and I love grabbing rebounds. EF: I can see why your name has been popping up with a lot of great offers and interest recently. 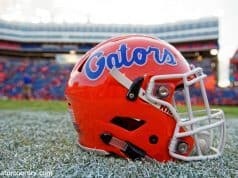 When did the Gators first offer you and what did they say to you? ZK: I was offered on July 3rd. The coach basically just said that they had watched me play and they loved my game. EF: I’m speaking to you after you spent a day on campus on an unofficial visit. How was it and what were you thinking as you made your way around the campus and basketball facilities? ZK: The campus was really nice! The practice facilities, arena, and locker room were all top notch. The new academic advisors facility was also great. EF: That’s really good to hear. Fans always hear about recruits taking visits but often don’t actually know what those visits actually look like. Can you talk us through what your day consisted of? ZK: First, we took a tour of the practice facility, met everyone associated with the program, and watched some film. We then hopped on a golf cart and road around campus. We stopped at the arena where games are played, amazing place, it remind me of Madison Square Garden. We met with an academic advisor and asked him a lot of questions. We met with the nutritionist and talked about the healthy snacks that are provided for the players. Then we went back to the practice facility to watch practice for an hour. EF: Thanks for giving us that run through, it’s cool to get a glimpse at what a visit looks like. And I love you comparing the O’Dome to MSG, it really is an awesome arena! You seem to be a guy really focused on your performance in the classroom. Am I reading you right, and how do you balance high performance in both the classroom and on the court? ZK: Yes, definitely. I know I have to keep my academics up if I want to be successful on the court. Just a lot of studying and practice and working out. I have to juggle my schedule sometimes but I always make it work. EF: Good for you man! Back to a question about your game on the court. The Gators struggled to score on the inside last year and it affected their offense all around. How do you think having a post player who can score like yourself helps a team offensively? ZK: A strong post game can help everyone on the court. The defense starts to collapse inside and that frees up the shooters. EF: It definitely adds another big dimension to the offense. Is there a player you would compare yourself to or one that you try to model your game around? ZK: My favorite player is Tobias Harris. He’s from Long Island like me. I like his all-around game and his work ethic. EF: Man, I am dead set on the fact that Tobias Harris is the most underrated player in the NBA and I am glad you recognize how good he is. Regarding your recruitment, what are you looking for most in a team? ZK: He’s definitely underrated. I’m looking for a team that will utilize my skillset and help me develop skills I don’t have. EF: Alright Zed, I’ve taken a lot of your time and this is coming after you had a busy day so I should probably let you go (laughs). One more question to help people get to know you. When you’re not putting in work in the post, what are you doing off the court for fun? ZK: I like spending time with my family. I’m also really into cars. I have a 1973 Oldsmobile 98 that I’m currently working on. EF: Oh man! That’s awesome! I can’t wait for some before and after photos (laughs). Thanks so much for your time! I look forward to staying in touch this year. ZK: No problem at all. Thank you. One thing with Key is that he was one of the players first focused on my new assistant head coach and big man specialist Al Pinkins. For Coach Pinkins to recognize the abilities of Key and make him a focus says a lot to me that he’s a player fans should have extreme interest in. 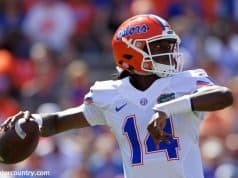 Though he has a lot of upside that could see him go pro early, he is likely a multi-year college player that could provide multiple seasons of production for the Gators. You can follow Zed on Twitter at @ZedBasketball14.